A trip to the orchard and now I am under all kinds of "Catholic Guilt" and pressure to use apples in everything! SO, I decided to try making cookies out of apples. 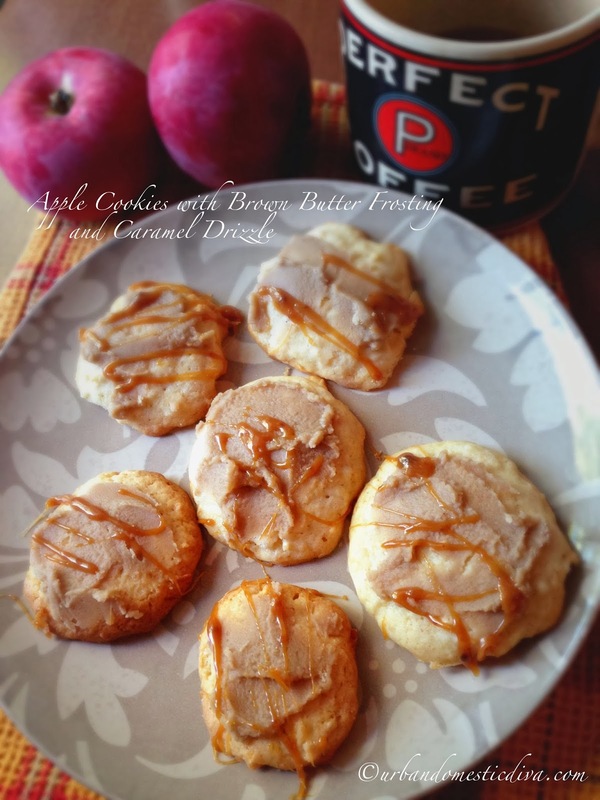 The trick with doing this is that the apples need to cook for a short time in a cookie recipe. My solution was to shred the apples and macerate them a bit to soften them up. 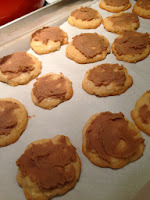 This way, they can cook up quickly with the cookies, versus what slices take in a pie or cake. 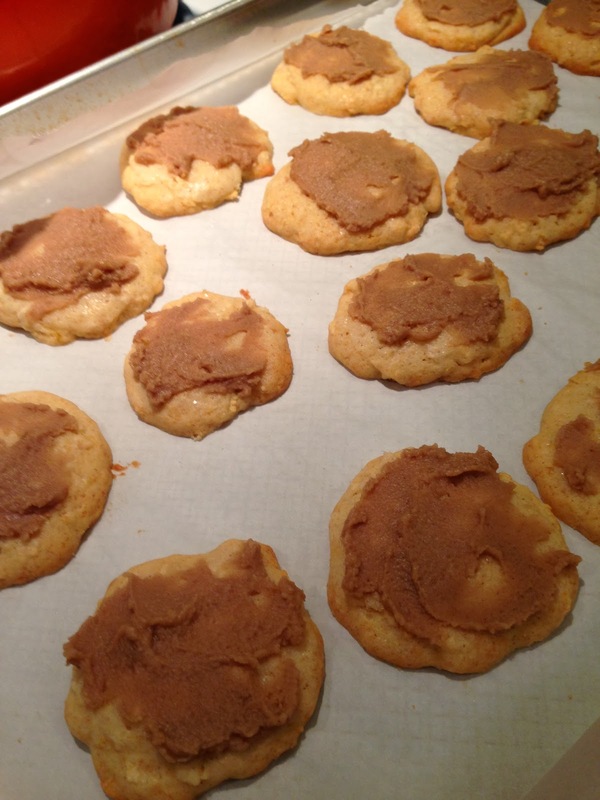 I then got really crazy, and made some brown butter frosting for these babies. And no, I didn't stop there. I found some caramels from candy apple making in my baking cabinet and decided to take these cookies to one more level by drizzling caramel over the brown butter! 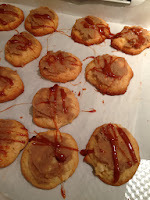 I almost sprinkled sea salt in the caramel. But then I thought....I was just being a show off. Preheat oven to 350°. 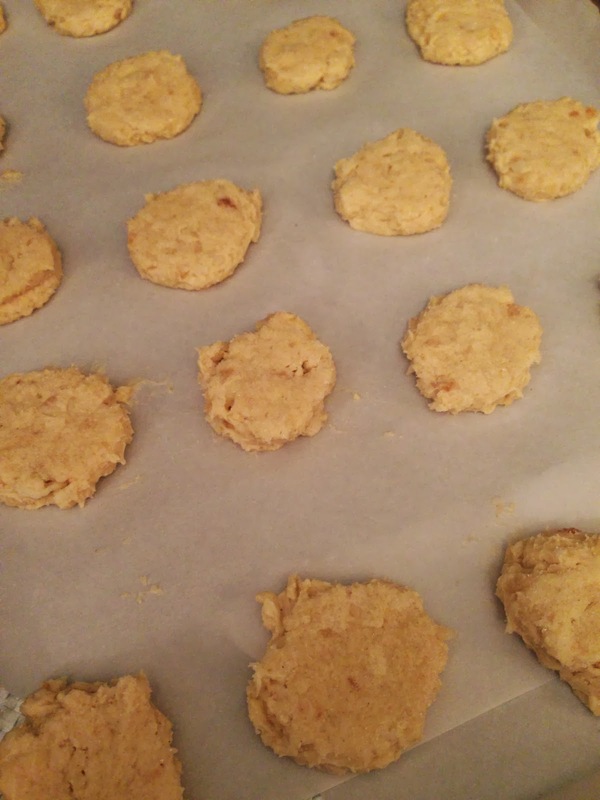 Line 2 baking trays with parchment paper and set aside. In a small bowl, mix the shredded apples with lemon juice, sugar, and pumpkin spice. Let's sit while you prepare the batter. Apples will macerate in their juices, which will be really yummy! 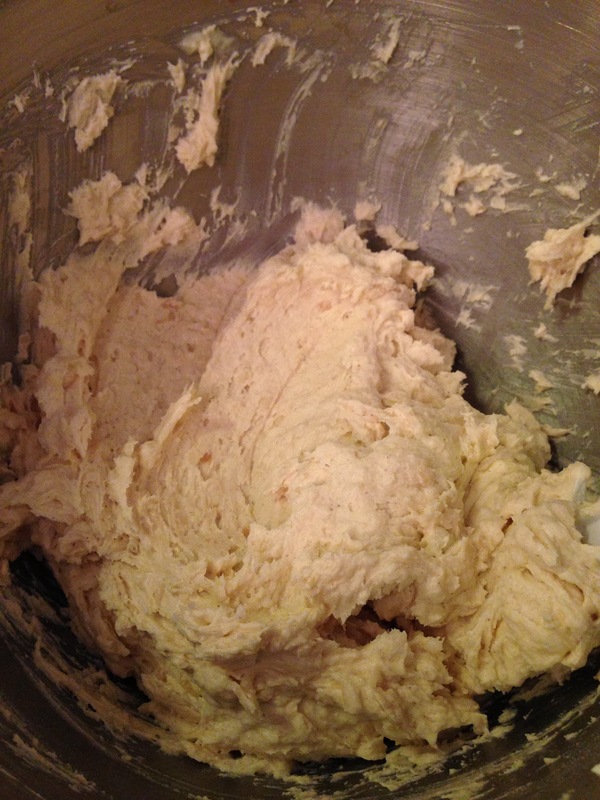 With a stand mixer beat butter until creamy. Add the sugar and salt and whip until light and fluffy. Add egg yolks and beat, scraping the sides. Add vanilla, flour, and baking powder on low. Mix until just combined. 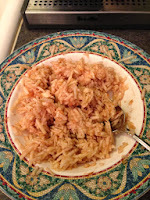 Add shredded apples with all their juices, and mix by hand until just combined. Chill for about 30 minutes in the refrigerator. Once dough is chilled, use a tablespoon and your hands to create walnut sized dough balls, and place them 2" apart on prepared baking sheets. If dough becomes too soft, chill it as you go. Using the bottom of the glass and your reserved bowl of sugar, wet the bottom of the glass and press into the sugar then press the dough balls down gently into flat discs, 1/2" thick. Continue to use the glass on all the dough balls. Bake cookies for 10 minutes, flipping sheets halfway. Cookies will be set and lightly golden. 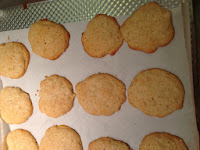 Let sit on sheets for a couple minutes, then transfer cookies to cooling racks. Meanwhile make the brown butter frosting. In a small pan, melt the butter. The butter will foam up then get cooking. Once butter begins to brown swirl it around to cook evenly, then take off the heat before it burns. 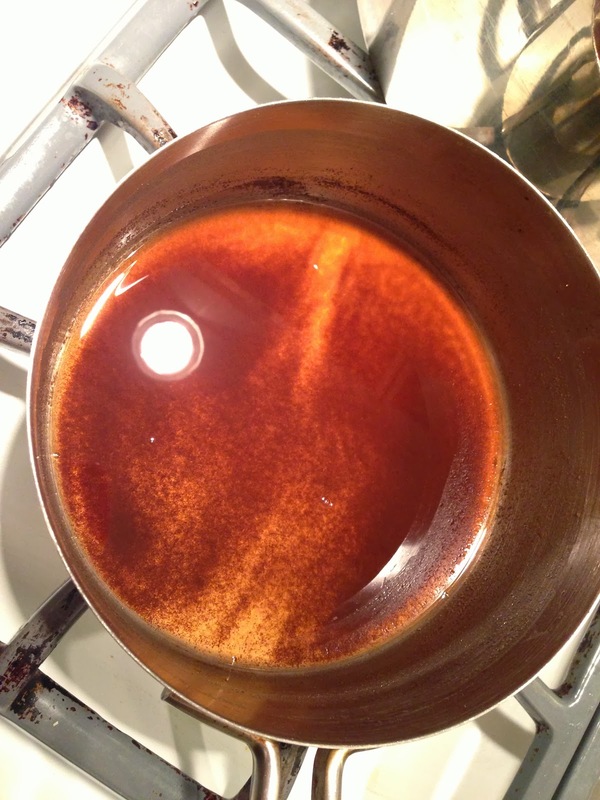 Cook the butter until you have a nice amber color on the bottom of the pan. Let it cool down for a bit, then beat in the powdered sugar, vanilla and cream. Spread a dollop of frosting on each cookie. 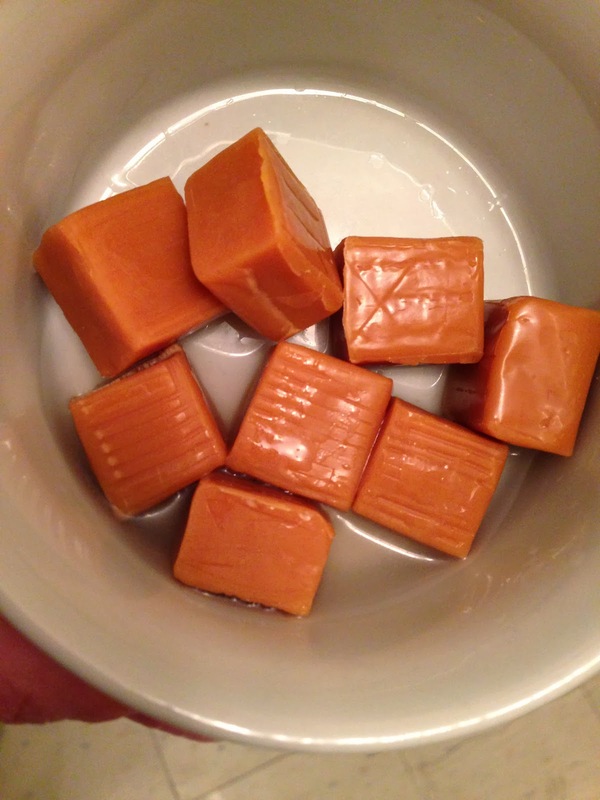 Next, in a small bowl, heat the caramel with water in the microwave for 15 seconds. Stir with a fork. Heat 5 seconds at a time until caramel is of drizzling consistency. 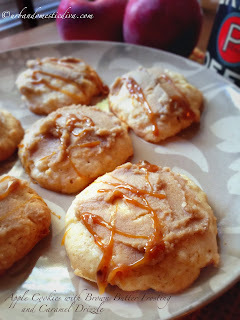 Drizzle warm caramel over the frosted cookies using a quick back and forth motion with a fork. Let caramel set on the cookie, then store them in an airtight container for up to a week.